Our corporate manager is happy to give you a call any time just fill in the boxes below and we'll reach out to get you more info about how to set up a team! For more info about our corporate leagues enter your information below and we'll send you all the info you need to get started. For more info about specific seasons enter your information below and we'll send you all the info you need to get started. Build Company Culture, Network, and Have A Blast! 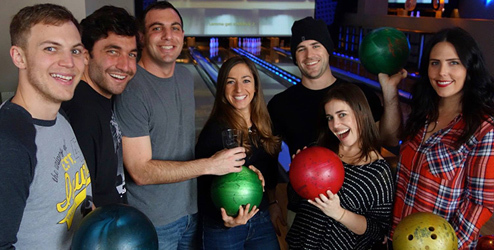 Setting up a corporate bowling team is a great way to build company culture and get coworkers interacting outside of work! With BOB’s emphasis on social, it doesn’t matter whether an employee is a triathlon winner or a couch potato, everyone can have fun. Have a BOB Manager Email or Call You! 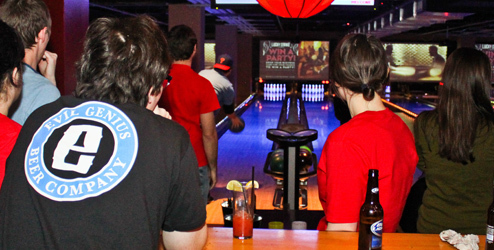 Having trouble thinking of that epic bowling team name? Use BOB's Team Name Generator to come up with some fun suggestions! You can choose between classic names (e.g. Livin' on a Spare), funny team names, or even risque ones! See who Wants to roll! Setting up a corporate team doesn’t have to be a pain! 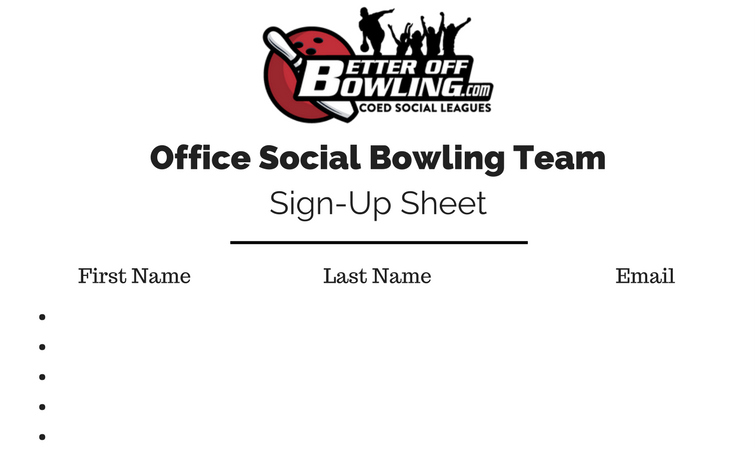 You can use BOB’s sample email and/or signup sheet to see who’s interested around the office without having to retype all the league info yourself! 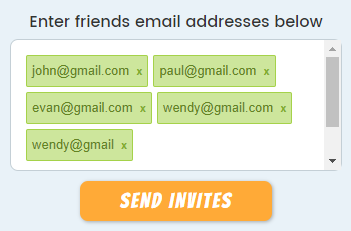 Click on the button to get the sample email, then just customize it any way you’d like (if at all)! With the sample signup sheet, you can just print it out and tape it to the front desk or common area and see who signs up! Piece of cake! 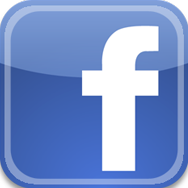 Click to get a sample email you can send out to see who's interested! Click to get a signup sheet that you can print and put up around the office! 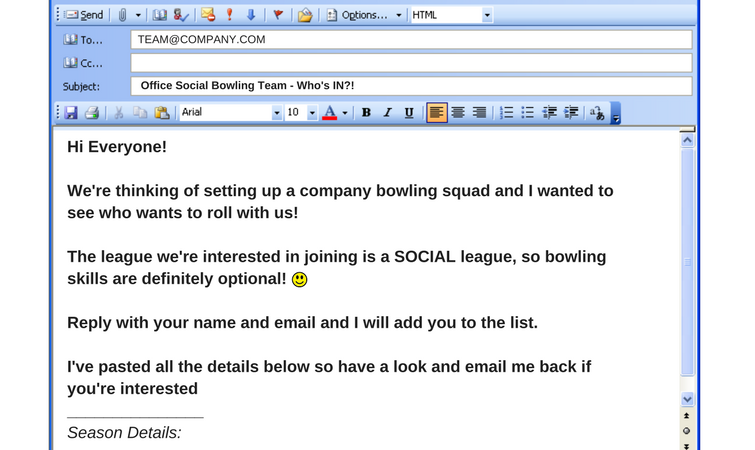 Signing up a corporate team is surprisingly easy! Below are the few things you’ll need to do to make sure your team is all set and ready to roll! 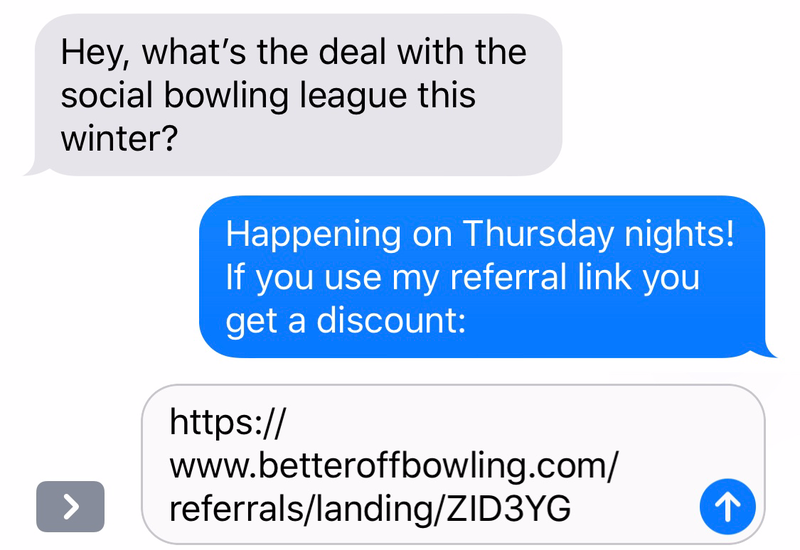 And you can always email corporate@betteroffbowling.com with any questions, we’ll get back to you within 24 hours, and usually much sooner! First you need to figure out who wants to bowl! You can download a sample email to send out to the office to gauge interest, and/or printout a signup sheet (see above section). 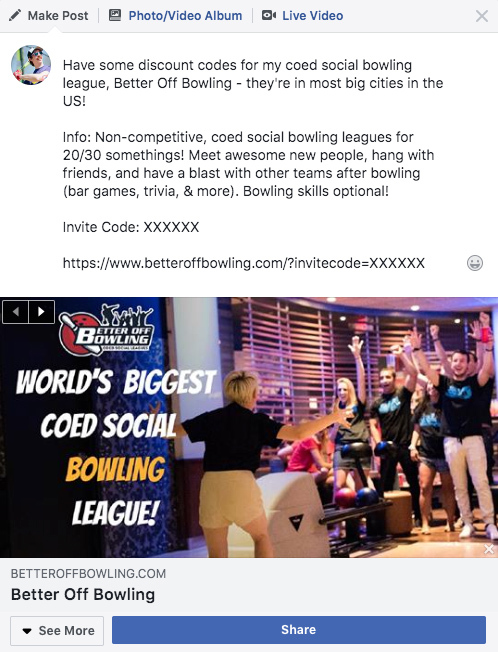 However, even if you don’t know exactly WHO is bowling, but that you do want to do a team, you can create a team with “OPEN SLOT” players that you can fill-in later when you know who will take that spot. Often fun but sometimes contentious, you embrace your collective creativity to come up with a fun bowling team name (puns are popular). If you want to get the juices flowing, you can check out the “Team Name Generator” in the above section that can help with name suggestions! As a Team Manager, you’re in charge of setting up the teams, but you also get to decide if you want to play or not! You can be part of the crew rolling, or you can just do the initial setup and payment and let the other rollers handle everything else. You’ll receive a corporate invoice via email listing all of your teams and the total payment so you can make sure there are no issues with reimbursement. 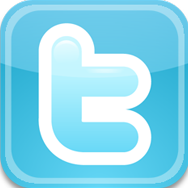 We can also send any companies that need it a W-9 form. Here’s a basic overview of some of the options you’ll be able to choose when setting up one or more corporate teams. You can setup one or multiple teams, set up the team yourself or have a BOB manager help you out, and even choose to pay for everyone or have people pay for themselves (or somewhere in between). You can choose to create one team or many teams, plus, you get to decide which of those teams your on if you want to play at all. Plus, you can specify who’s on which team now, or put some placeholders in and figure that out a little later. You have the option to setup a team but allow employees to pay for themselves instead of paying for everyone on the company card. When you’re setting up a corporate team you’ll see the option to do this. Sometimes a company will want to cover half of an employee’s registration fee. That’s no problem either. You can setup a team and then pay a portion for as many spots as you like, the employees who sign up will pay the rest.